Dr. Elizabeth Goldman has been caring for the dental health of children in Collin County for more than 25 years. She has extensive experience working with children and teens, including those with special needs. Dr. Goldman graduated from Baylor College of Dentistry and is a longtime member of the American Dental Association, Texas Dental Association, North Texas Dental Society, and Dallas County Dental Society. She attends continuing education to stay up-to-date on the latest and safest methods to treat her patients. Dr. Goldman is married and has two daughters and a son-in-law. 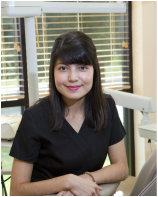 Noemi is the friendly voice you'll hear when you call Texas Redbud Dental. She schedules all appointments and efficiently files all insurance. Noemi is also a Registered Dental Assistant, so she can help with patient care as needed. Noemi grew up in McKinney and enjoys spending time with friends and family. Norma is our wonderful Registered Dental Assistant. She makes kids feel comfortable right away with her gentle manner. Norma is married with 3 young children and a close extended family. She stays busy attending the kids' sporting and drill team activities. During our busy summer months and on school holidays, we are lucky to have dental hygienist Cathy Johnson, RDH providing excellent care to our patients. 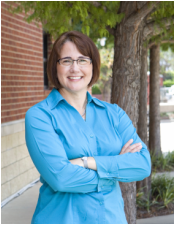 Cathy has more than 20 years of dental hygiene experience, and she has a business providing instrument sharpening services to many dental offices in the DFW area. Cathy is often assisted by our hygiene assistant Cami, who recently became a Registered Dental Assistant and is a full-time college student, planning to become a nurse. Cathy and Cami make a great team!